When I decorate our house for the holidays, I pull a sturdy red shopping bag with rope handles from underneath a table. It is full of my winter storybooks. I arrange them near my kitchen and pick a few from the shelf before I go to school. 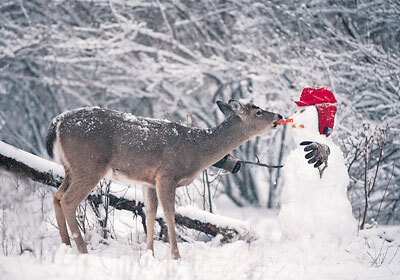 The first week of December, I read Stranger in the Woods, a photographic fantasy. by Carl Sams II. Snowmen at Night is my favorite read aloud for the kindergarten kids. 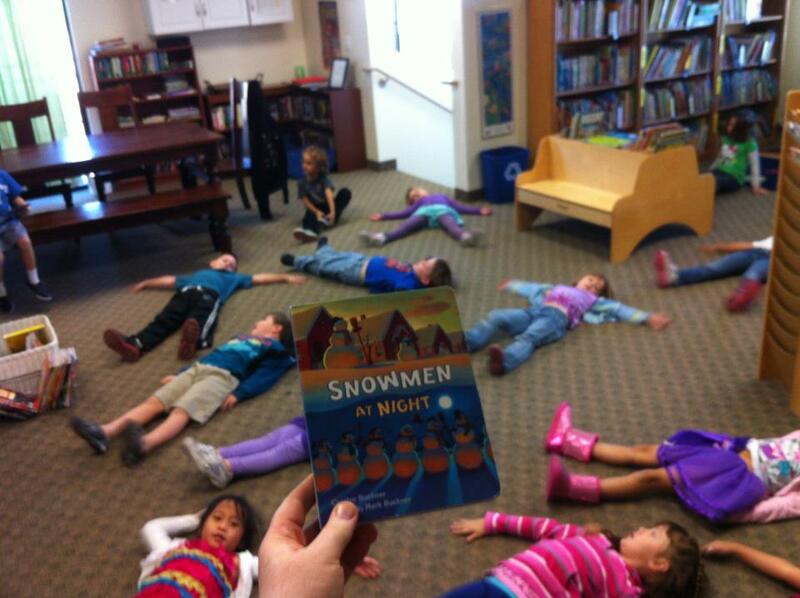 After we finish the story, they make snow angels! Of course, we have to read How The Grinch Stole Christmas aloud. 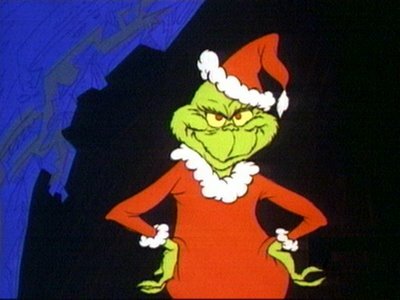 The Grinch comes to Changing Hands bookstore every year for free photos. I hate to post a past event (it was last weekend) but at least you will know for next year. 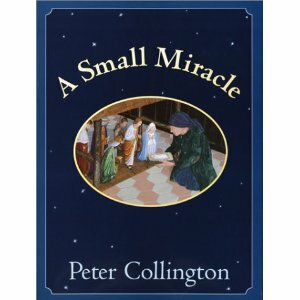 Today I read A Small Miracle by Peter Collington, story of kindness rewarded, told without words. 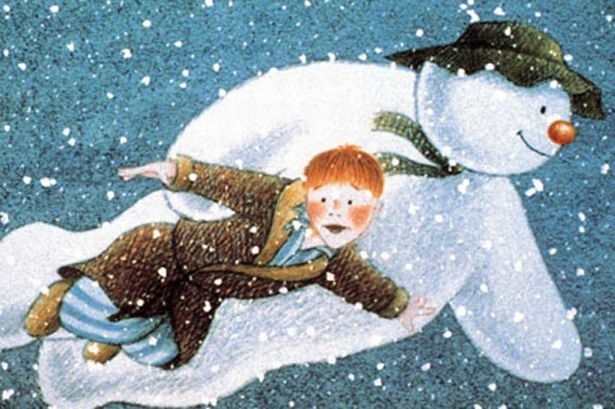 My other favorite wordless winter book is “The Snowman” by Raymond Briggs. And not just because the little boy looks just like my Max. Well, maybe a little bit because of that. I asked Max if he remembered when the snowman came to life and flew him around the world and enjoyed watching him try to remember that one time, ha! 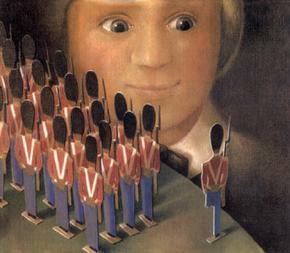 Last night at bedtime I read “The Steadfast Tin Soldier” by Hans Christian Anderson (retold by Tor Seidler). The story is set at Christmas time, and I wondered after reading it if the animators at Pixar took a few themes from this book when they created Toy Story. Another favorite “toys come to life” book for me is The Tub People. Max is more tolerant of fairy tales than Brady is, but in this case, the soldier was made out of Tin, which is on the periodic table which was enough to make Brady give the story a chance. I listened to this version of the STS read aloud online, and I love it for the British accent of the narrator. The Steadfast Tin Soldier is too long to read aloud in the library but I hope you can find a copy and read it at home. I can see this will be a two part post, I’ll conclude for now. Can you send me a picture of your favorite winter read aloud?